When we started these 12 days of Christmas, I noted that in writing the Three Under the Tree series for the last three years, I picked up a bunch of old Christmas vinyl and CDs, more for you than for me. In so doing, there were a bunch of records that had more misses than hits. Most of them were used, so there wasn’t a lot of money wasted. This year, I bought only one Christmas CD, one I’d been seeking for a while. I bought it new, and it turned out to be another one with more misses than hits. So it goes. Rarely do I come across a Christmas record that doesn’t have something worth hearing. I can think of a couple, but there’s no need to name names. We’re here to put some nice things in your Christmas stocking, so hope you will enjoy these tunes from records that had some nice moments. 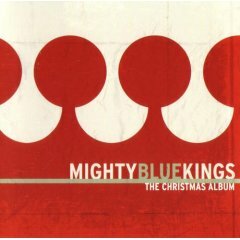 “Christmas Time,” the Mighty Blue Kings, from “The Christmas Album,” 2000. This Chicago group covers a tune by West Coast bluesman Jimmy McCracklin. 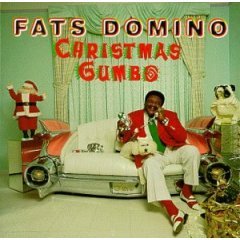 “Christmas Is A Special Day,” Fats Domino, from “Christmas Gumbo,” 1993. 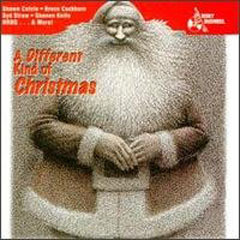 It’s out of print as such, but is available as “Christmas Is A Special Day,” a 2006 CD re-release with a different cover. Fats wrote this charming little hymn and does it in — what else? — a laid-back New Orleans style. 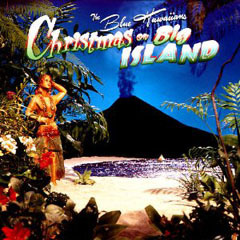 “We Four Kings (Little Drummer Boy),” the Blue Hawaiians, from “Christmas On Big Island,” 1995. Let a little surf wash into your Christmas. “Have Yourself a Merry Little Christmas,” Shawn Colvin, from “A Different Kind of Christmas,” 1994. It’s out of print. A lovely, low-key version. 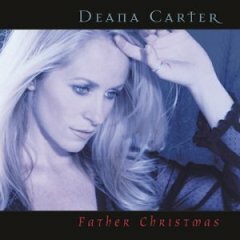 “Merry Christmas Darling,” Deana Carter, from “Father Christmas,” 2001. What makes this cover of the Carpenters song so remarkable is its acoustic arrangement with Carter’s father, veteran Nashville session man Fred Carter, on guitar. Deana Carter sings this in a higher register than did Karen Carpenter — and that may not be for everyone — but she nicely complements her dad. Fred Carter died earlier this year. “Santa Claus Is Coming To Town,” the Whispers, from “Happy Holidays To You,” 1979. (The buy link is to a 2001 import CD.) Off the same album that delivered “Funky Christmas,” this is a smooth, jazzy arrangement clearly from the late ’70s. “Joy To The World,” Aretha Franklin, 1994, from “Joy To The World,” 2006. 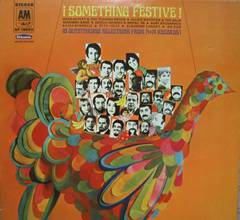 This is an odd little compilation of Christmas songs, gospel songs and show tunes recorded over 30-plus years. 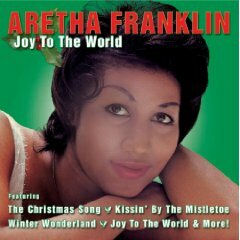 This cut features Aretha backed by the Fame Freedom Choir, from the soundtrack to the 1994 remake of “Miracle on 34th Street.” That is about the only nice thing we have to say about any remake of the 1947 classic, long one of our favorite films. 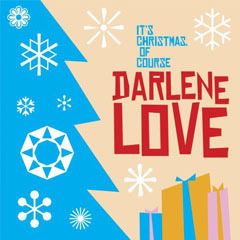 “What Christmas Means To Me,” Darlene Love, from “It’s Christmas, Of Course,” 2007. A cover of the Motown song done first by Stevie Wonder. 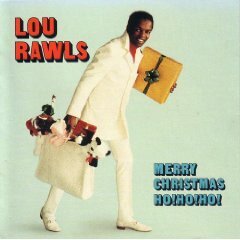 “Christmas Is,” Lou Rawls, from “Merry Christmas Ho Ho Ho,” 1967. It’s out of print. This tune starts out with a swinging big-band arrangement, then has Lou channeling Santa Claus midway through before wrapping up with some smooth nightclub cheer. This Percy Faith tune never sounded so good. 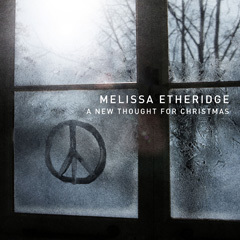 “Merry Christmas Baby,” Melissa Etheridge, from “A New Thought For Christmas,” 2008. Etheridge lets it rip on this Charles Brown blues tune. 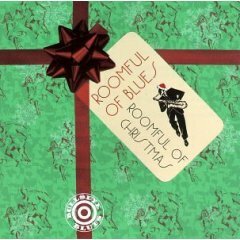 “Christmas Celebration,” Roomful of Blues, from “Roomful of Christmas,” 1997. The B.B. King version may be more familiar, but this take by the veteran East Coast group is pretty good. “Blue Christmas,” Ann and Nancy Wilson, from “A Very Special Christmas 2,” 1992. Not a big fan of this tune, which everyone associates with Elvis, but this is a pretty good version. Melissa Etheridge also does it justice. 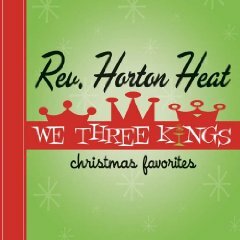 “What Child Is This,” Reverend Horton Heat, from “We Three Kings,” 2005. An upbeat yet moody take — it feels a little like Morricone — on a song usually done with much reverence. Some great, great tunes here, and some I am looking forward to hearing for the first time. The Mrs. and I are headed to Milwaukee for the Mighty Blue Kings’ Christmas show tonight. They could burn the house down in their earlier incarnation–looking forward to hearing how they sound now after several years and lineup changes. This is the best Christmas post I’ve seen this year! Especially grateful for the Blue Hawaiians and reminding me how good the Rev Horton Heat Xmas album is.